328 pages, paperback, Labate, 3. edition 2008. We are witnessing at present an un­dreamt-of upswing in the evolution of the theory of chess in general and of the theory of openings in particu­lar. Each year, fresh tomes devoted to the study of various opening games or particular opening sys­tems or even opening variants ap­pear on the book shelves. Nowa­days the analyses of some openings continue deep into the middle game and even extend to the end-game. Not quite so explicit, but still very thorough is the study of the end­games. Dozens of positions, which were once blank spots on the map of the end-game, have been ana­lysed in detail, assessed and in­cluded in textbooks on the end­game. Turning to the theory of the middle game we find that the progress made here is by no means as impres­sive, the development of this phase being characterized mainly by a rapid growth in the volume of data. Books on the middle game usually contain hundreds of positions, but unlike their predecessors, the prog­ress made here is reflected chiefly by an inreasing number of examples rather than by a more profound un­derstanding of this fascinating phase of the game. But the search for new opening systems and their elaboration by chess practitioners have enhanced the strategy of the middle game, because many differ­ent types of middle game positions, which are characterized by a gen­eral plan or a general strategy, have been analysed extensively and in depth. Tactics, on the other hand, are dominated by chiefly a matter sizing up a concrete situation, which makes it difficult to arrive at generalizations. Of course no one can maintain that the theory of tactics has been mark­ing time. Attempts are made to clas­sify combinations and work out ways of facilitating the calculation of intricate combinations. And yet on the whole the development of the theory of the middle game lags perceptibly behind the other two phases of the game. The explanation commonly given is that the middle game is the most in­volved and difficult phase of the game. It is by no means easy to un­derstand it and its laws. That is pre­cisely why the middle game - more than any other phase - calls for a circumspect approach, for easily comprehensible principles and for a gradual transition from the simple to the complex. Anyone who has taken an interest in engineering knows that one must first familiarize oneself with the de­tails of a machine before trying to understand how it works. And yet it is in the study of the middle game that the basic principle of pedagog­ics - the necessity of proceeding from the simple to the complex - is constantly being violated. As a rule one begins learning the middle game and chess tactics by trying out combinations. 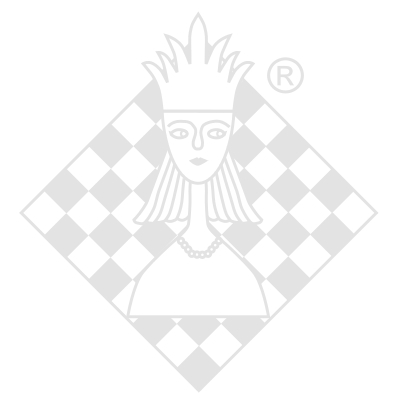 Unques­tionably, this is one of the most fas­cinating and exciting aspects of chess. The mechanics of even the most elementary combination are extremely complex. It is advisable to familiarize oneself thoroughly with its elements before studying the combination. When chess wri­ters describe chess combinations they usually stress the aesthetic and emotional aspects, namely the sacri­fice, the surprise effect and the par­adoxical element of the game. Without a doubt these aspects are also important, because they bring out the fascinating side of the game. But it is even more important to un­ravel the mystery of the complex mechanics of the combination and to show its main elements and how they function. And still the attempts made so far to explain the combination mechanism have not yielded more than a hand­ful of general and not very conclu­sive concepts, such as harmony of the pieces or the concerted use of forces. Besides, the debate about what the term "combination" means is still continuing. Different authors have interpreted the term in differ­ent ways. The reader will recall that a discussion launched by the Soviet journal "Shakhmaty v SSSR" on the topic "What is a combination?" failed to produce a good answer, al­though it took up a good deal of space in the periodical. But how is one to classify and study combinations if there is no consen­sus about the meaning of the term? Of the combination it may be said with perfect truth that everybody is fascinated by it, that everybody un­derstands what it is, but that no­body seems to be able to give an ex­act definition of the term. The present book is an attempt to rescue the theoretical discussion from this impasse. We have endeav­oured to establish a theoretical basis that would enable us to pursue our study of the extremely diverse tactical manifestations. We have started by examining the most common and elementary situ­ations arising from confrontations between isolated pieces and con­sider possible methods of attack and defence. Then we gradually proceed to examine the more com­plex facets of the game, making sure to preserve continuity by delv­ing deeper into positions that have already been analysed. We soon reach the point at which we can ex­amine positions involving double attacks. If we regard the term "double attack" in a broader sense than has been done up to now by theoreticians, namely not merely as a two-pronged attack, but as a com­bination of attacks and threats, we notice that the double attack in one form or another is the basis of most intricate tactical operations. Considerable space is devoted to this topic to convince the student of the truth of this statement. We soon realize that the double attack is a very effective device not only for at­tacking but also for defending one's position. The author is convinced that this approach makes it easier to find one's way through the mare of tac­tical entanglements and provides a key to understanding the problems of the tactical game. The next important step is to find out the meaning hidden behind such mysterious terms as "harmony of pieces" or "co-ordinated use of forces". Our aim here is to uncover the meaning and the essence of each term. This enables us to introduce the term "elementary connections" which we have coined. We discover that any tactical operation no mat­ter how complex, can be described in terms of different combinations of contacts. We soon realize that the concerted use of forces boils down to the co-ordinated use of combinations of contacts, i. e. to certain constellations of pawns, pieces or squares on the chess board. It is also demonstrated that most combinative end-games can be reduced to a few basic co-ordinated combinations of contacts. With the aid of the term contacts and their combinations a definition of the combination is worked out and a new and promising system of classification is introduced. But to obtain a thorough knowl­edge of the theory of contacts and their combinations proposed by the author the reader will have to read the book. It is intended to help him fathom the sources of the combina­tion and to understand the origin and function of its mechanics. Working his way through the book the reader will realize that various kinds of combination of chessmen and squares on the board must be preceded by various contacts be­tween them. And it is precisely these combinations aimed at specific tar­gets that form the basis for develop­ing combinative possibilities. We believe that we can proceed, with good prospects of success, not only to acquainting the reader with the various combinations occurring in chess, but also to showing him how to recognize them in their incipient stages and how to prepare them af­ter making a detailed study of the theory of contacts and their combi­nations. In this work we have also been able to answer a fundamental question that has occupied the minds of chess theoreticians for many years, namely whether combinations are an exception or the rule. Contrary to the notions of adherents of the positional school, who regard the combination as an avoidable excep­tion, we propose to demonstrate that the development of contacts and their combinations is a natural development of the chess game. Since the appearance of contacts usually heralds the combination, it evolves as a complex and various consequence of this process. With this work we give the recep­tive reader a book that is in the true sense a textbook of tactics and com­binations. It is designed to help the reader master the art of combina­tion, which is the highest level of mastery of the game. It is a pinnacle which elevates the game to an art and which - like any other art - is a source of delight which affords the practitioner an opportunity to take part in the act of creation. 206 What is a combination?